^ Damrosch, Leo (30 October 2005). "Jean-Jacques Rousseau". The New York Times. ISSN 0362-4331. Retrieved 22 December 2016. 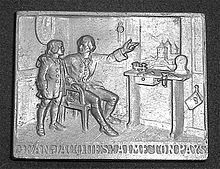 ^ "The manuscripts, Letter from Andrew Millar to Andrew Mitchell, 26 August 1766. Andrew Millar Project. University of Edinburgh". www.millar-project.ed.ac.uk. Retrieved 2 June 2016. ^ Jordan, Michael. "Famous Locksmiths". American Chronicle. Archived from the original on 25 August 2010. Retrieved 14 July 2010. ^ Wollstonecraft, Mary (2004) . "V". In Brody, Miriam (ed.). A Vindication of the Rights of Woman. Penguin. ISBN 978-0-14-144125-2. ^ McMahon, Darrin M. (18 July 2002). Enemies of the Enlightenment: The French Counter-Enlightenment and the Making of Modernity. Oxford University Press. ISBN 9780195347937. ^ Bertram, Christopher (2012). Zalta, Edward N. (ed.). The Stanford Encyclopedia of Philosophy (Winter 2012 ed.). Metaphysics Research Lab, Stanford University. 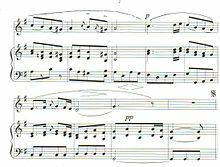 ^ "Jean Jacques Rousseau - Composer Biography, Facts and Music Compositions". FAMOUS COMPOSERS. Retrieved 30 November 2018. 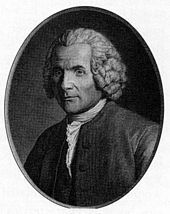 ^ "Jean-Jacques Rousseau | Biography, Philosophy, Books, & Facts". Encyclopedia Britannica. Retrieved 30 November 2018. ——— (1989) , Gay, Peter (ed. 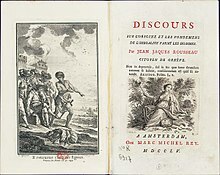 ), The Question of Jean-Jacques Rousseau, Series editor, Jacques Barzun, Yale University Press . 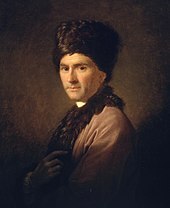 McCarthy, Vincent A (2009), "Jean-Jacques Rousseau: Presence and Absence", in Stewart (ed. ), Kierkegaard and the Renaissance and Modern Traditions editor-first=Jon, Farnham: Ashgate, ISBN 978-0-7546-6818-3 . Rousseau, Jean-Jacques (1978), Masters, Roger (ed. ), On the Social Contract, with the Geneva Manuscript and Political Economy, translated by Judith R Masters, New York: St Martin's Press, ISBN 978-0-312-69446-3 . Wokler, Robert (2012), Garsten, Bryan (ed. ), Rousseau, the Age of Enlightenment, and Their Legacies, introduction by Christopher Brooke . O'Hogan, Professor Timothy, Science Live (lecture), Oxford University, archived from the original (audio) on 13 January 2013 . Anne Davier (2005). 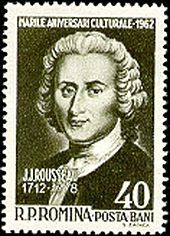 "Jean-Jacques Rousseau". In Andreas Kotte (ed.). Theaterlexikon der Schweiz (TLS) / Dictionnaire du théâtre en Suisse (DTS) / Dizionario Teatrale Svizzero / Lexicon da teater svizzer [Theater Dictionary of Switzerland] (in French). 3. Zürich: Chronos. p. 1078. ISBN 978-3-0340-0715-3. LCCN 2007423414. OCLC 62309181.